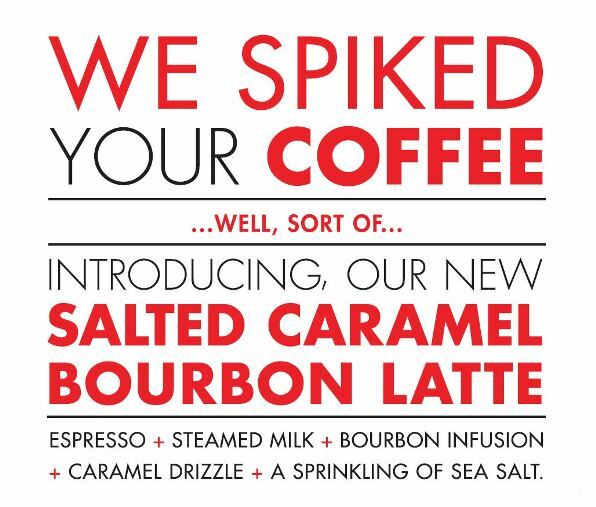 There’s a Latte Changes with our Coffee! Introducing our new fresh roasted, Southern Italian coffee blends that are roasted in a traditional Italian fashion. This is how we take you South, one sip at a time! The Capri blend is roasted medium-dark + masterfully blended to achieve a velvety-smooth flavor profile. This roast produces magnificent crema + represents the essence of what espresso should taste like. Hints of fresh-baked bread +almonds pair with a dash of natural, earthy undertones to create a blend that is sure to satisfy the most discerning palates. This medium-bodied Central Italian blend offers a delicate aroma + clean taste, with subtle nutty undertones. Abruzzo finishes with a soft, yet bright + savory flavor profile that leaves you wanting one more sip. Campania is our darkest roast – deep and robust, with hints of cocoa + honey. Bold, but not overpowering, this coffee has a rounded flavor profile that lends to a pleasant taste + satisfying sweetness. 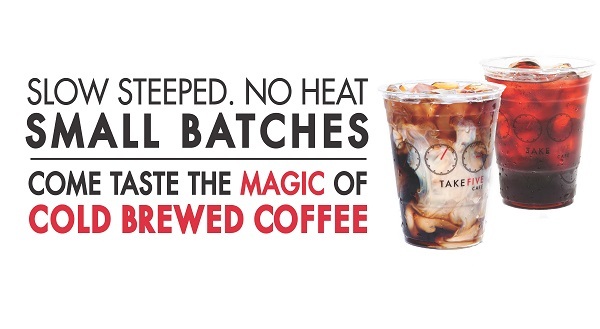 Have you ever sat down with a steaming cup of our Take Five Café specialty grade Arabica coffee + pondered the extensive journey the coffee bean has made before it finally tantalizes your taste buds? Your daily coffee ritual has an interesting story, one that spans continents, oceans + countries. To appreciate your ritual, you should know where your bean has been! The story begins high in the mountains of countries such as Ethiopia, Colombia + Guatemala. The best quality of coffee is grown high above sea level in warm, tropical climates. Here, coffee trees are planted + carefully maintained. In the case of Specialty Grade Arabica beans, the plants are delicate, hard to grow + are more vulnerable to damage. It can take up to 4 years for a newly planted coffee tree to produce fruit. That is 4 years of tender care + 4 years of meticulous measures at work! But the hard work pays off, and somewhere in that span, the trees bud a cherry-like fruit. The seed of the fruit is a coffee bean. Harvesting the coffee cherries requires a lot of time + manual labour. The beans are hand picked one cherry at a time + then separated from the cherry flesh. They are then carefully examined to remove defects. Specialty Grade coffee beans are the cream of the crop + need to pass strict standards to stay within their class. Beans that have rot, or are sour, broken or chipped, are removed. They are examined overall for consistency + quality….. Perhaps this is how the term “cherry picked” evolved? After the beans are sorted, harvested + carefully selected, they need to be washed + dried. The drying operation is the most important stage of the process, since it affects the final quality of the coffee. Coffee beans that have been over dried will become brittle. Coffee beans that have not been dried sufficiently will be too moist + are prone to rapid deterioration. A lot of responsibility goes into this step. The dried beans are stored in bulk in special silos until they are sent to the mill where hulling, more sorting, grading + bagging take place. This is the milling process + it is a thorough process. The very best specialty coffee beans are hand chosen + it is not uncommon for these beans to be double picked or even triple picked! Consider these the A+ of their class! It’s here where there are three careful distinctions made in the sorting process. 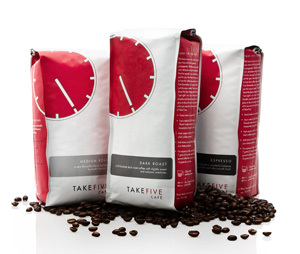 The best of the best beans become Specialty Grade coffee, the grade of coffee Take Five Café is proud to serve. There are batches of Premium and Gourmet coffee beans also sorted with varying levels that offer a different coffee experience. We’ve chosen to only roast and serve Specialty Grade coffee. Once the beans are sorted, graded and packaged, they are then shipped to various roasting facilities around the world. Our custom-roasting facilities are in Delta and we’re working with roasters who have been roasting Specialty Grade Coffees since 1973! Our roasting facility also boasts 6 years of awards as a carbon neutral plant. It is here the beans are roasted in small batches for optimal freshness + consistency. And it is here that the roasting process results in our favourite unique tastes, blends + aromas. 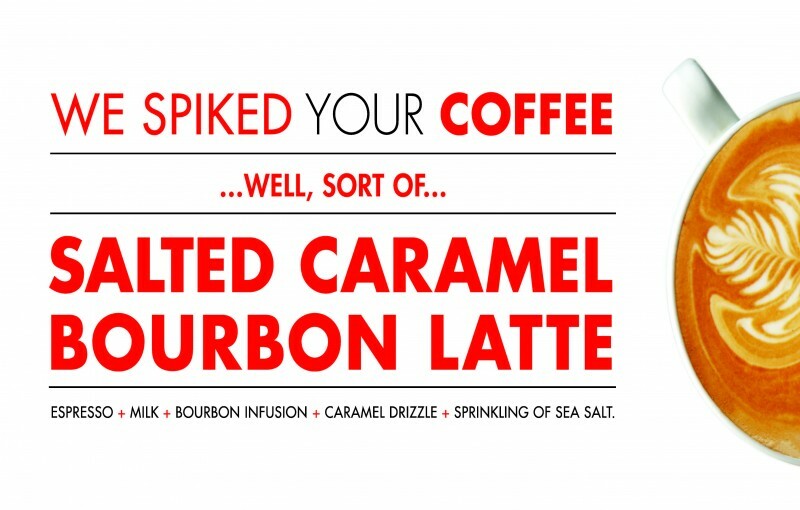 The darker the roast, the lower the caffeine content, the bolder the flavours, the more ‘smokey’ the coffee. Options are endless here + this is where we pride ourselves on unique flavour profiles. Once roasted, the specialty beans are bagged + shipped to each of our 10 locations where you both finally meet. This is the magic, the special moment where you ‘take five’ for yourself and enjoy a very carefully prepared cup of coffee. It’s a simple moment and a special one. So next time you’re savoring a sip of your favourite Take Five Café coffee, remember, the journey of a thousand beans ends with a single sip! And we like to call it a “specialty” sip.